Two of the top three New Year's Resolutions of 2016 had to do with staying fit and losing weight. 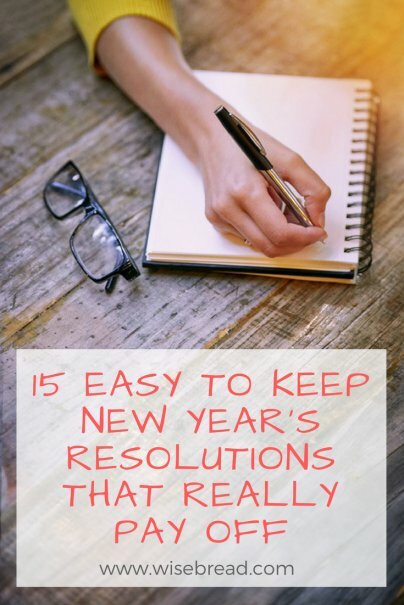 Fortunately, there are some simple changes that you can make in the new year that will help you achieve your fitness goals more quickly. Set achievable fitness goals on a daily, weekly, or monthly basis. You aren't going to get that perfect body overnight, so set goals that you can realistically achieve. Reward yourself when you reach your milestones by taking a day off, paying for a special exercise class, or purchasing affordable new workout gear. Don't over think things, try not to get frustrated, and remember that fitness takes time. Keeping a food journal can keep you on track and accountable for what you eat. By writing down every little crumb that you eat on a daily basis, you can look back every week and see what you need to improve on and how well (or how poorly) you actually eat. It can also encourage you to eat fewer calories, improve your health, and help you make positive dietary changes for life. Your doctor or personal trainer may have already recommended that you keep a food journal, and the new year is the best time to start. For the new year, focus on improving your overall well-being by making healthy changes that you can stick to. Waking up earlier can help you achieve so much more every week. By cleaning, stretching, or completing one item from your "to-do" list during your extra time, you can get your day started on a more productive note. However, waking up earlier can be difficult, so try getting up early (or ignoring the snooze button) just one day per week. During commercial breaks, try multitasking. Do a quick exercise set or quick clean during each commercial break. For the average 60-minute show, there are about 13-19 minutes of commercials. Imagine what you could get done with all that extra time. The Centers for Disease Control and Prevention recommend getting at least two and a half hours of exercise each week. This means that you should be working out about 30 minutes per day, five days per week. This is a very attainable goal that can have huge health and fitness benefits both in the short- and long-term. Drinking a glass of water first thing in the morning on an empty stomach is a great way to soothe the stomach, curb your appetite throughout the day, boost energy, and improve overall health. It can also help you detoxify the body and even lose weight, helping you stick to your fitness and health resolutions. Volunteering more often has countless benefits for both you and those you volunteer for. While others can benefit from your time, energy, and talents, you can feel good about yourself for your efforts. Volunteering also looks great on your job applications, can help you make new friends, and most importantly, you're helping to make the world a better place. In 2016, more than half of Americans had a finance-related resolution. Fortunately, there are some simple changes you can make that can result in huge savings. Save all $5 bills in a designated jar or drawer. At the end of every month, apply them toward your debt, emergency fund, or retirement account. You'll be amazed at how quickly this adds up, and you won't feel a huge difference in your spending. This is known as "The $5 Savings Plan" and can help you save hundreds each month. Even if you only save one $5 every week, you'll save an extra $260/year. According to Dave Ramsey, by investing $35/week for 40 years, you can retire a millionaire. Consider signing up for automatic deposits to your savings account every month. The money will add up quickly and you won't feel like you're missing much. Eating out less often will save you money and can even help you achieve your fitness goals more quickly. If you eat out all the time, just try cutting back on your morning coffee or to-go orders by one day per week. According to The University of Scranton, only 8% of Americans are actually successful in achieving their New Year's resolutions. To ensure that you're part of that 8% this year, write down your resolutions in a place that you can see them daily. Also, determine what measurable steps you need to take to accomplish these goals. Consider using a bullet journal to help you track your goals and monitor your progress.